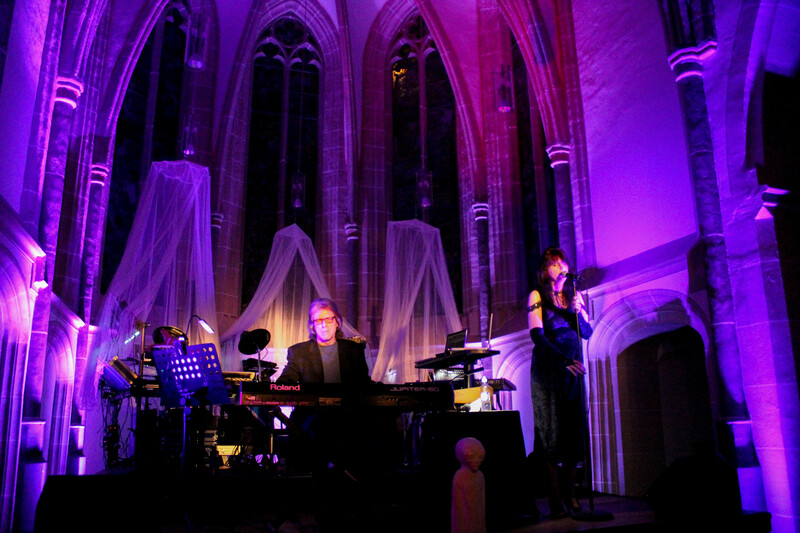 David Wright & Carys started working together in 2012 when they performed at ‘The Bungay Bash’. Both musicians are fans of Klaus Schulze, Lisa Gerrard and Dead Can Dance, so they discussed the idea of doing something ’similar’ to the Schulze & Gerrard style, but ‘different’. Merging vocal textures with synths and rhythms to become both part of the backing and an unobtrusive but integral part of the whole became the raison d’être. A number of musical ideas were laid down, and their first attempt at this ’style’ was ‘Dreaming Desire’, a track both artists are particularly fond of. They also recorded the jazz/chill-out ballad ’Call to Me’, both tracks appearing on ‘Beyond the Airwaves Volume 2’. In early 2016 David began working on a new solo album, provisionally titled ‘Prophecy’. Originally, Carys was to input vocal effects in the opening section, but as time progressed, the project took on a very organic life of its own as the two artists became very ‘in sync’ over the music and its direction. As the album evolved it became clear that it was no longer a David Wright solo album, but a true collaboration. The way in which the album grew in complexity also pushed the original June 2016 release date back further and further until March 2017. Prophecy is described as “A Journey from the Ocean to the Stars”, an odyssey, a musical canvas to which the listener supplies the final brush strokes with their own imagination. 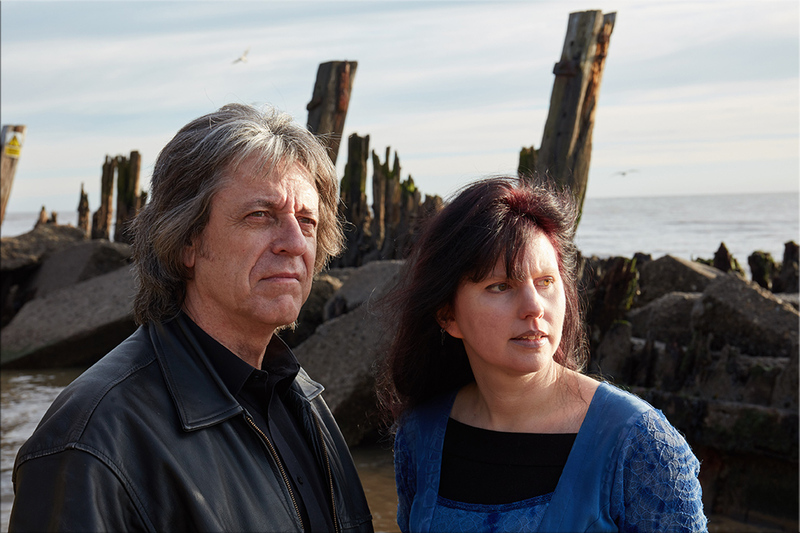 The haunting and plaintive whale cries of Carys add a spiritual element to the music, and through the opening underwater sounds and ambience, a dark scene is set as we rise from the depths of the ocean. Through evolving sequences, rhythms and changing themes, the 15 interlinked tracks lift us skywards and eventually into deep space…and beyond….to the Vangelis like finale, including NASA space sounds and the glorious multi-tracked ‘Carys choir’. Read about and purchase Prophecy at AD Music Shop here. During early 2017 the album went through its final mixing and mastering stages, with numerous changes and additions, and so plans for performing the album live began. However, it did become clear to the duo that the last 4 tracks were not easily performed live and would need more thought for inclusion in later concerts. The first performance of Prophecy was at The Awakenings (UK) on 4th March 2017 and it was greeted with much enthusiasm by the audience. A week later on 10th March at the Repelen Concert in Moors, Germany, with minor changes made from the previous concert, a stronger performance was greeted with rapturous applause by the German audience. What made this even more satisfying was that it was achieved with technical difficulties and Carys singing with no reverb or effects on her voice at all! Fortunately, the wonderful church acoustics helped, but still an amazing vocal performance was not lost on the appreciative audience. Read concert review (in German) and here a second review and more pics. The next event was E-Scape (UK) on 13th May where again, with additional tweaks to the live performance, the audience reacted very enthusiastically to the set. David and Carys flew to Norway on 9th June to an event in Tønsberg, performing to a more ‘Club orientated’ audience, with Glenn Main and the synth pop band ARGH, where they premiered new, vocal centred tracks from their repertoire. But the result was the same, a very enthusiastic reaction to all the music, and in particular to an edited down version of Prophecy that even had the audience applauding in the ‘come down’ sections’ – a first. 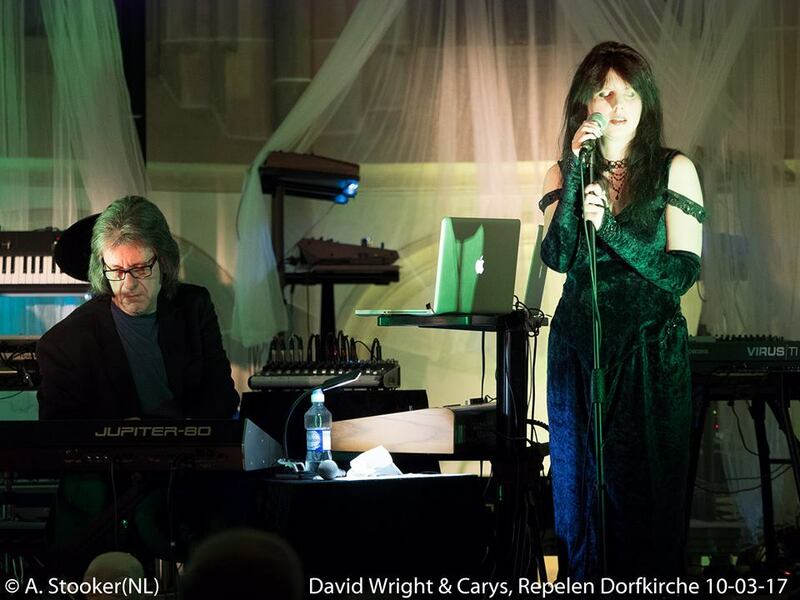 Then on 1st July, The Schwingungen Garden Party near Dortmund in Germany, where David and Carys performed probably their best concert too date in the final late slot from 10:15pm to midnight. As well as the live Prophecy section (45 minutes), and ‘Call to Me’, the set opened with ‘Dream Flight’ and there was the perennial closing favourite ‘Call of the Earth’ with Carys reciting the Indian Spirit Prayer in German. David performed a brand new ‘Walking With Ghosts Fantasy’ and ‘Beyond Paradise’ plus an improvised piano rendition of ‘Glass Mountains’ with Carys adding beautiful ethereal vocal backing. A very satisfying performance! Concert review and pics here. With all the concerts recorded so far, plus more events in the pipeline, a live album and DVD in 2019 or 2020 are certain. 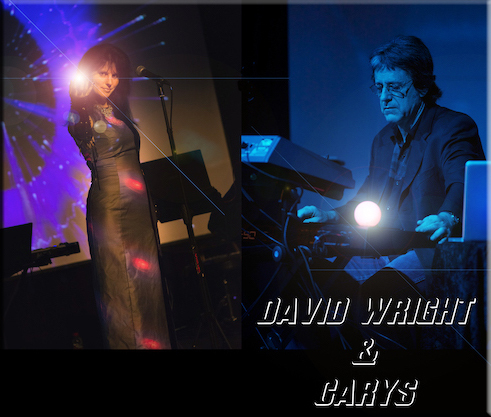 Davdi Wright & Carys will be performing some UK concerts in 2019. 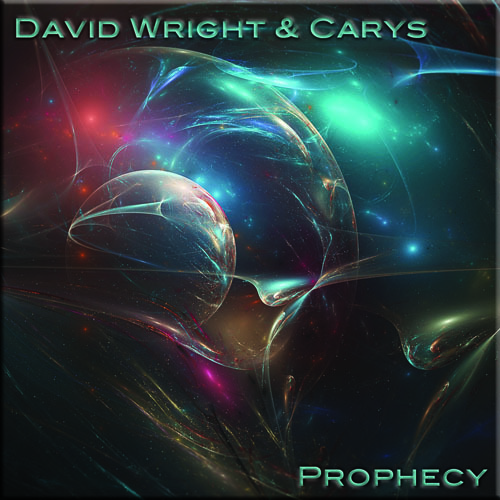 Listen to David Wright and Carys talk about Prophecy here. Thanks to Stephan Schelle for pics.